Sept.17 (NBD) -- What is the future of the publishing industry? Quoting an American essayist as saying future is a strange beast and it's what we make it, Christopher Colin MacLehose remarked, "future is in our hands if we, as publishers, you as bookshops, along with writers and translators from all countries and all cultures, work together." 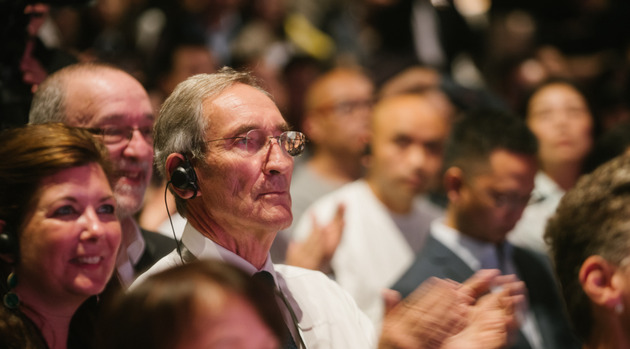 Christopher Colin MacLehose, founder of MacLehose Press, gave the keynote speech at the 2018 Chengdu International Bookstore Forum on Friday, picturing the changes in the role of traditional publishing industry and editors and depicting the future trend of the publishing industry. 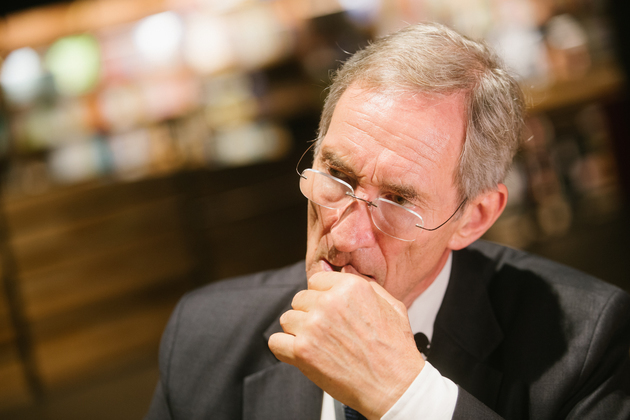 MacLehose had an exclusive interview with NBD on the sidelines of the forum, telling more stories about his publishing works and giving suggestions regarding bookstore innovation. 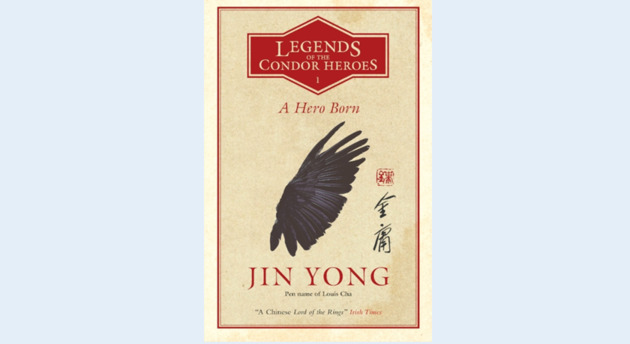 NBD: Books you chose to publish turned out to be bestsellers, such as 'The Girl with the Dragon Tattoo' by Swedish author Stieg Larsson and the first volume of 'Legends of the Condor Heroes' by Chinese author Louis Cha. How did you make the choice? MacLehose: The curious thing in publishing translation works is that almost always you have a book in the original language. But in this case of the book from Sweden ('The Girl with the Dragon Tattoo'), it had already been translated, which I had never met in my experience. A translator finished the 1,500 pages work within one year, which was a miracle. But the English text was then turned down by 18 publishers. The text was finally brought to me by a Swedish publisher. The success of the novels lies in the passion the readers have for this young, clever but troubled woman. A total of 13.5 million copies were sold in England. Two years ago, an agent sent me 80 pages of the beginning of 'Legends of the Condor Heroes' by Louis Cha. I read them and I couldn't put them down. I was enchanted by the way he is telling stories. To me, the mediaeval history of China is fascinating and the martial arts element in the book is popular. I think everybody in England has seen the movie 'Crouching Tiger, Hidden Dragon', and they loved it. My children probably have seen it for five times. NBD: You have published works translated from more than 34 languages, what do you think is the most difficult thing in this process? MacLehose: It may be making sure that the translator is the right translator for that text. It's easy to imagine there are difficult languages such as Portuguese, Polish and Icelandic. Eventually you'll find a very good translator, but is that translator the right translator for that writer? Can you see the problem? You can be a translator of a certain kind, but you need to be in complete intellectual sympathy with the writer. As for the answer to your question, every publisher may have a different idea. But my idea would be, can you make the perfect match between translators and writers. Some translators may want to go on with one author and translate their next books. NBD: Despite the difficulty, you keep bringing beautiful stories in other languages to Britain, what do you think is the most rewarding? But the reality is, in the world we are living today, we need to understand what people are thinking in other languages. That is an act of translation. It has to begin by the English being curious. That's my job to make them want to know. NBD: What is the relationship between bookstores and publishers? MacLehose: MecLehose Press is one of 25 small publishing houses which are part of the group Hachette in England. Some of them are big and some are small, even smaller than we are. So Mr. Hachette says, 'you should all come to my company and I will provide you with the sales to the world.' And they do. We have wonderful sales companies in Australia, in New Zealand and in India. What they are not very good at is talking to individual bookshops. In Britain, they may have representatives or salesmen. A representative goes to a book shop in London and he may say, 'here we are. I have 385 books.' That ability of the publisher to speak directly to a bookshop is formally lost. So when he comes out of the bookshop, I have to go in afterwards and say, 'will you read this, and this, and this?' because he doesn't have time to do this. This is the reality of the relationship between publishers and book sellers all over my country. 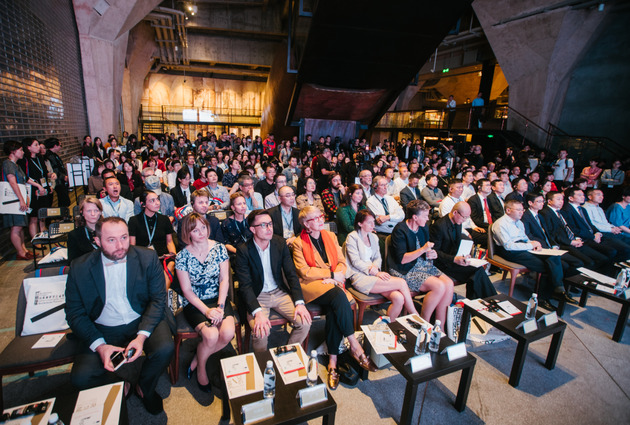 NBD: This is the third consecutive year that Chengdu has hosted the international bookstore forum, and Chengdu is promoting reading campaigns across the city. What suggestions do you have regarding such effort? MacLehose: I discovered a month ago that there are 14 bookshops in Beijing which open 24 hours a day. I've never heard one in the U.S. or in the UK. There is a magnificent bookshop in Bordeaux, France. It's called Mollat. In it, they have a huge stock of books in many languages mostly French. They also have a music section, CDs only. And in each language section, they have small tables where a member of the staff is sitting. For example, you go to the Russian section of the bookshop and you say to the person, 'tell me what I should read?' He or she has read all the books in this section and will make recommendations. A new word comes out of such service, 'curating'. I like the idea.